Founder of Facebook, Mark Zuckerberg who is currently in Lagos has proved the international broadcaster, the Cable News Network (CNN) wrong for omitting the country’s name in the headline of a report announcing the visit of Facebook founder, Mark Zuckerberg, to Africa’s most populous country. The headline mentioned Sub-Saharan Africa as Mr. Zuckerberg’s destination. 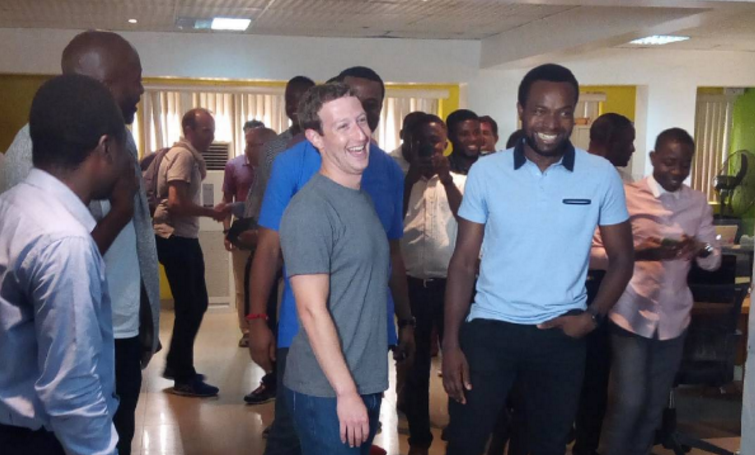 The Facebook founder visited Lagos, Nigeria’s commercial capital, on Tuesday, and interacted with Nigerian tech entrepreneurs at Yaba, regarded as the Silicon Valley of Nigeria, a visit that’s a source of inspiration to over 200 Nigerian developer. “Mark Zuckerberg makes first-ever visit to Sub-Saharan Africa,” read the headline, published by CNN Africa and shared on its Facebook page and Twitter late Tuesday. That headline promptly sparked anger in one of the world’s largest oil producers, with citizens taking to Facebook and Twitter to attack the broadcaster for omitting ‘Nigeria’ and creating the impression that Africa was a country. Nigerians who commented on the matter expressed strong views and sought to salvage their national pride. Mr. Aduwo said Nigeria had the largest Facebook community in Africa with over 16 million users, and, therefore, deserved respect. “If Mr. Mark had gone to a European country, will you tweet this way: ‘Mark makes first ever visit to Europe’ — CNN Africa?” Twitter user @oluwatimilehino asked. And again on Facebook, there was one user questioning the news organisation’s understanding of maps. There were also blatantly insulting comments, as were ones just expressing delight at the visit. Andela, with headquarters in Nairobi, Kenya, and Lagos, trains software developers across Africa. Mr. Zuckerberg was at its Lagos office. Meanwhile, Facebook in partnership with Coollink has launch ExpressWifi, a new Facebook program that lets phone owners have access to cheap internet service is coming to Lagos.